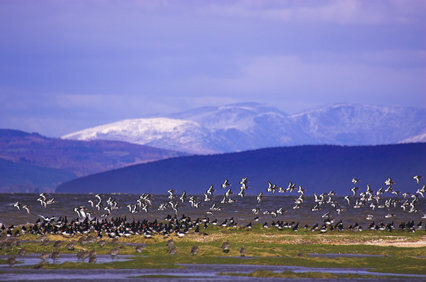 The Morecambe Bay area – internationally important for its wildlife – became one of only 12 Nature Improvement Areas (NIAs) in England in 2012, attracting £800,000 of funding from Natural England to improve and connect up the area’s special wetland, limestone grassland and woodland habitats, as well as inspiring community action and supporting sustainable farming, woodfuel and wildlife tourism. Over 1700 hectares of priority habitat have been restored to benefit species such as Lapwing, Curlew, High Brown Fritillary butterflies, woodland birds, orchids and wildflowers. Four new jobs have been created, along with one apprenticeship and one internship as a direct result of the programme and a new nature tourism business network involving over 35 businesses has been established.